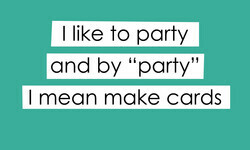 A collection of inspiring, cute and funny quotes about crafting. Whether you're a scrapbooker, stamper, cardmaker, planner or other crafter, these quote graphics are sure to inspire you and make you laugh. 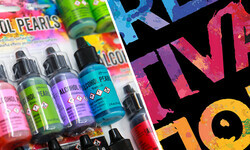 What is the difference between Distress Ink and Distress Oxide? Can you use them with water? What about emboss? Do you need to have both? 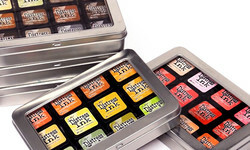 Learn everything you need to know about bestselling Distress Ink options here! Learn how to create a vintage mini-album that is unique, beautiful, and sustainable! 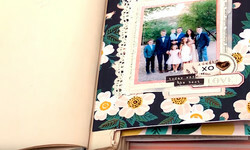 Designer Maggie Holmes shares tips and tricks to add vintage flare, repurpose old items, and make the enchanting mini-album of your dreams! 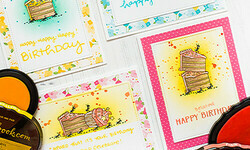 Card making can be a blast! However, it does require many materials to properly produce one card. How should you organize these materials? Glad you asked, because Jill Davis and Stacy Boatman have the answers. From Scrapbook collections to card making supplies and tools, we've got you covered with the Summer craft supplies you'll need for every sun-kissed project! 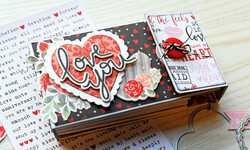 Explore the wildly popular and imaginative fashion-inspired collections designed by Jane Davenport for Spellbinders! Fabulous guest blogger Flóra Farkas takes you through a simple step-by-step tutorial on how to make a beautiful wedding card for the happy couple! It's National Scrapbook Day 2019 and we're ready to celebrate! Find out everything we have going on (Challenges, Sales, Events, and More!) for NSD 2019 here! He popped the question, she said yes to the dress, and now you need to make a romantic, love-filled wedding card for the big day. 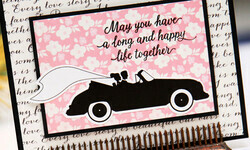 Check out some of the most amazing handmade wedding cards from our Scrapbook.com gallery! 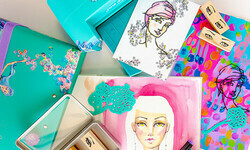 Want to get organized, on track, and have everything planned out in the most fashionable, fun way possible? Then have we got the planners for you! From bunnies and baskets to painted eggs and Easter service, when it comes to the wonderful springtime holiday of Easter, we have you covered for all your crafting needs! 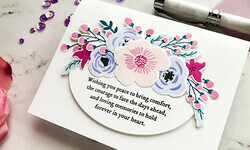 Join guest blogger Emily Midgett in this inspirational piece about creating heartfelt sympathy cards in times of loss and sadness. You have your die cutting machine but what's next? We'll walk you through the top manual die cutting accessories for taking your projects to the next level! What is embossing? How do I emboss? 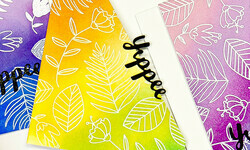 What products do I need to get started embossing? 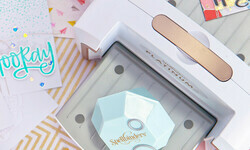 Read this easy and fun guide to embossing. Creativation Recap: Our Favorite New Products for 2019! Scrapbook.com rolled out the red carpet for some of your absolute favorite American Crafts designers. 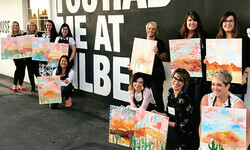 Join us on an epic crafting adventure with Heidi Swapp, Shimelle Laine, Vicki Boutin and more! 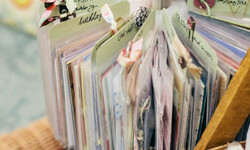 Learn how to make an amazing homemade coupon booklet filled with love in this step-by-step walkthrough from Jana Eubank! 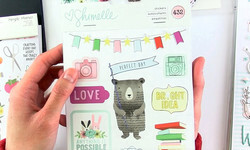 Get inspired, get jealous, get shopping, and most importantly, get crafting! Check out our list of the top 10 Scrapbook.com haul videos of 2018 for amazing hands-on walkthroughs of some fantastic products. 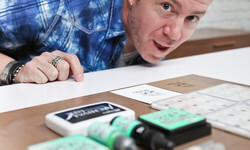 Explore a variety of Tim Holtz for Tonic Studios tools that will make your crafting easier and your results even better than you ever imagined! 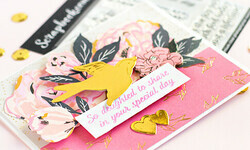 We're falling in love with homemade Valentine's Day Cards! We've handpicked a beautiful bouquet of 16 homemade V-Day cards to fill your heart with love and your imagination full of ideas for Valentine's Day! You watched them, you loved them, you may have even watched them again! Here's the top 10 Scrapbook.com videos of 2018! Learn how to create beautiful handmade Christmas gift tags in this step-by-step post from Jennifer Gallacher!